Let us help you shape your financial future and assist you through the minefield of options open to you. As Independent Financial Advisers we select from the whole of the market with no restrictions on which products or services we select to meet your financial objectives not just in the UK but also offshore. Income & capital gains tax planning for Non Doms ? “Clean capital” is one of the most important tax matters for a non-UK domiciled individual. The expression “clean capital” signifies that this is money which can be remitted to the UK without tax consequences. This will normally be foreign income and gains that arose before you became UK resident, but it can also include outright gifts and monies received by way of inheritance. This should always be considered carefully as part of pre-arrival planning. UK resident but non-UK domiciled individuals can elect to shelter unremitted foreign source income and gains from UK taxation. This is achieved by electing to be taxed on the remittance basis and, in the case of long-term residents, by paying the applicable charge under this. In other words, such persons are not taxable on their foreign source income and gains until these are remitted to the UK. From 6 April 2017, the taxation of non-UK domiciled persons who have been resident for 15 of the previous 20 tax years is subject to legislation that is due to be enacted in FA 2016, which will limit the use of this basis of assessment. With careful planning, some UK resident/non-UK domiciled individuals can structure their affairs to live off their clean capital for their entire stay in the UK. Mixing clean capital with post-arrival foreign income or gains will create a “mixed fund”. Remittances from such funds are subject to the onerous ordering rules in ITA 2007, s 809Q. Broadly, these deem the remittance to be sourced from the most unfavourable component of the fund. In practice, any income in the mixed fund is treated as remitted first (at rates of up to 45%), followed by gains (at rates of up to 28%), and finally clean capital. Further complications arise if there are transfers between a mixed fund and another account. In this case, a proportion of the income, gains and capital are transferred across. There are a variety of private banks out there, but knowing which one is going to work best for you can be quite challenging. Will they provide the services you might want in the future? or will you end up with multiple private bank relationships because some are good at one thing but not another? Selecting the right Private bankers at outside with which to build a longer term relationship is crucial to get right from the start. All Private banks will offer enticing perks to High Net Worth Individuals in order to gain you as a client. Private banking clients never have to wait in line or use a teller service. Anything you need can be done with a simple phone call. As a Private bank client you would have direct contact with your lead account manager and complete just about any transaction, from cashing a cheque or ordering more cheques to moving large sums of money from one account to another. We have several strategic partnerships in place with some of the worlds largest Private bankers and are well positioned to advise you on which Private bank might be more suited to you now and in the future. Mark Dean Wealth are authorised and regulated by the Financial Conduct Authority here in UK which means our clients benefit from being advised by an authorised firm covered by the UK’s Financial Services Compensation Scheme plus we are obliged by regulatory rules to always hold up to date public indemnity insurance. Many jurisdictions around the world will have something similar in place, although may operate differently with different coverage levels, but this would all be set out in any recommendation report we were to provide to you before agreeing to go ahead with any investment. Take a look at the FCA Register https://register.fca.org.uk/ShPo_Homepage to find us under firm reference number 629592. Being a US Person living and working outside of the US can be a real headache in terms of tax reporting as well as finding financial services that are tax compliant on both sides of the pond. We work closely with several strategic partners who are Financial Conduct Authority as well as Securities Exchange Commission authorised and therefore have a full understanding of the implications on both sides and systems that are able to provide you with the information you need when it comes to tax reporting time of the year. We have never engaged any of our clients in any of the so called ‘Adventurous’ tax planning strategies of the past that are now being challenged in court by HMRC. We stick with the tried, tested and proven tax advantaged products available. There are various types of tax compliant wrappers, such as ISA’s, pensions, Venture Capital Trusts, Enterprise Investment Schemes, Offshore/Onshore Investment Bonds etc. Essentially they are all tax advantaged wrappers in some form or another that means the underlying investment within one of these types of wrappers receives preferential treatment from HMRC. We only recommend those tax advantaged wrappers that are recognised by HMRC and therefore comply with all the necessary tax laws and can not be construed as any sort of tax avoidance scheme. We particularly specialise in Offshore Bond wrappers, as these can be extremely beneficial to UK resident/non domiciled individuals who wish to defer income tax liabilities of their investments whilst they are living or working in the UK but intend to move back home or to another jurisdiction at some point in the future. Offshore bonds can be particularly useful to those caught by the 15 year deemed domicile rule and no longer able to claim the remittance basis charge, or those that do not wish to pay the remittance basis charge, as offshore bonds are taxed under the arising basis, but are tax deferred. When building an investment portfolio there are three important elements to consider; Asset Allocation, the types of investment structures (i.e. Funds, Investment Trusts, Exchange Traded Funds commonly known ETF’s, etc) and the selection of those Funds, Investment Trusts or ETF’s to use for each of the different asset sectors chosen. We go through an in depth risk profiling process with you and take account of your preferences, goals, capacity for loss and volatility, so as to arrive at a starting point for discussion and further refinement. A more detailed note of our investment process is available in writing upon request. The UK government introduced the Enterprise Investment Scheme (EIS) in 1994 to encourage investment in smaller companies. Because of the additional risks of investing in smaller companies compared to larger ones, an EIS investment comes with a number of valuable tax benefits. These include relief from income tax, inheritance tax and capital gains tax. In addition, any losses can be offset against earnings and capital gains, which is known as ‘loss relief’. You benefit from access to investments in early-stage companies and up to 30% income tax relief, provided the investment is held for a minimum of three years. You also get 100% relief from inheritance tax providing the investment is held for at least two years at the time of death. It is also possible to defer a capital gain and eliminate it entirely if EIS shares are held at death. Venture Capital Trusts (VCTs) invest in smaller companies in order to help them grow. The UK government are keen to support the growth of smaller companies and therefore offer investors in VCT’s beneficial tax treatment which includes up to 30% income tax relief each tax year on investments up to £200,000 (to retain this relief you have to keep your VCT shares for at least five years), tax-free dividends and no capital gains tax. Tax treatment is dependent on your individual circumstances and may be subject to change. The availability of tax reliefs also depends on the VCT maintaining its VCT qualifying status. This is our specialist subject, there is not much we do not know about onshore or offshore bonds. Essentially, they are single premium, whole of life non qualifying life assurance contracts, but that can be a bit of a mouthful, so we just call them offshore or onshore bonds. Both onshore and offshore work exactly the same as each other but taxed slightly differently. A life bond defers immediate liability to income tax on any income or gains received on investments held within the bond wrapper. This can be highly tax beneficial for those anticipating leaving the UK at some point in the future and where other jurisdictions might have a lower income tax rate than the UK or where it is not mandatory to report offshore income and gains to the local tax authority of that country. There are numerous financial planning/tax benefits offered when utilising life bond wrappers that would be too long to mention here, so call us today for a free no obligation initial discussion. Structured products are designed to offer investors an element of known return in exchange for a known level of risk. Capital at Risk – These products tend to set barriers at the outset and if the underlying barrier is breached, then you could get back less than you had originally invested. There are usually two types of barrier – American Barrier, which means if the barrier is breached at any time during the products term then you will get back less than originally invested or a European Barrier which means that you are only at risk of not getting your full capital back if the barrier is breached on the final day of maturity. Capital Protected – No matter what happens, your original capital is protected although there is still the risk of counterparty default, so it is important to assess if the counterparty is likely to still be around at maturity. Deposit Based – These are similar to capital protected but because they are deposit based means they qualify as an allowable asset within an offshore bond wrapper. However they are taxable under income tax at maturity if held outside of an offshore bond. Their ability to offer customized exposure, including to otherwise hard-to-reach asset classes and subclasses, can make structured products useful as a compliment to other traditional components of diversified portfolios, such as mutual funds, Exchange Traded funds or Investment Trusts. Investment platforms are commonly used by most financial advisers these days as a way of trading an array of fund management companies funds, Exchange Traded Products and Investment Trusts all in one place. Many of them also offer investment wrappers, such as Individual Savings Accounts (ISA’s) and Self Invested Personal Pensions (SIPP’s). 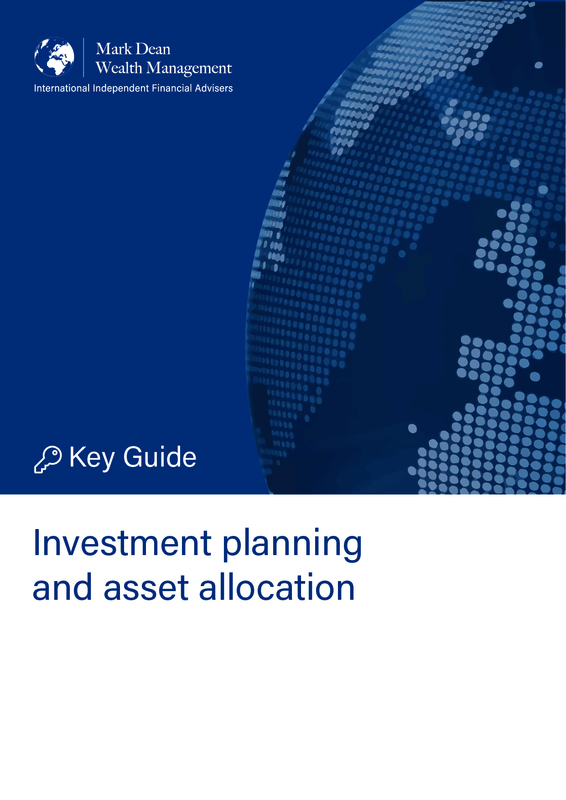 So you can hold your ISA & SIPP on a particular platform and choose from several thousand different investment products to hold within your ISA or SIPP. They all tend to offer a client view, so you can see your underlying portfolio within your ISA or SIPP online through their secure portal 365 days a year. However, it is important to take advice in this area, so as to ensure the platform you are using is cost effective in comparison to others that might be available to you.